It us useful to find the number of missing values that occur in a single run. 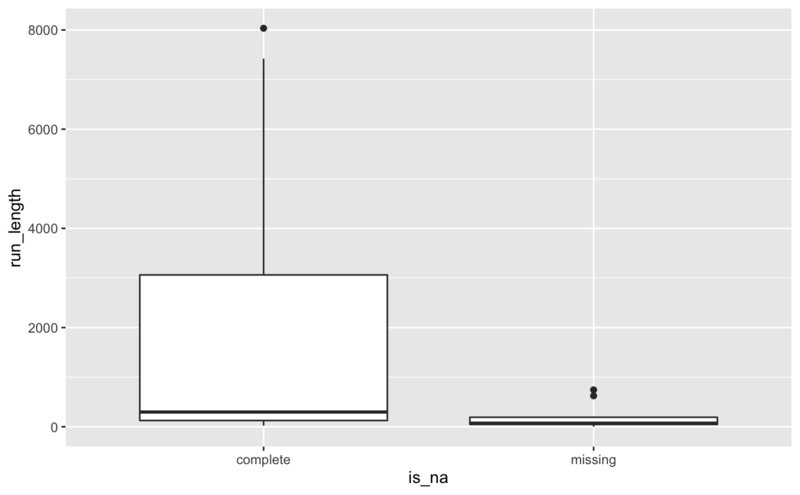 The function, miss_var_run(), returns a dataframe with the column names "run_length" and "is_na", which describe the length of the run, and whether that run describes a missing value. 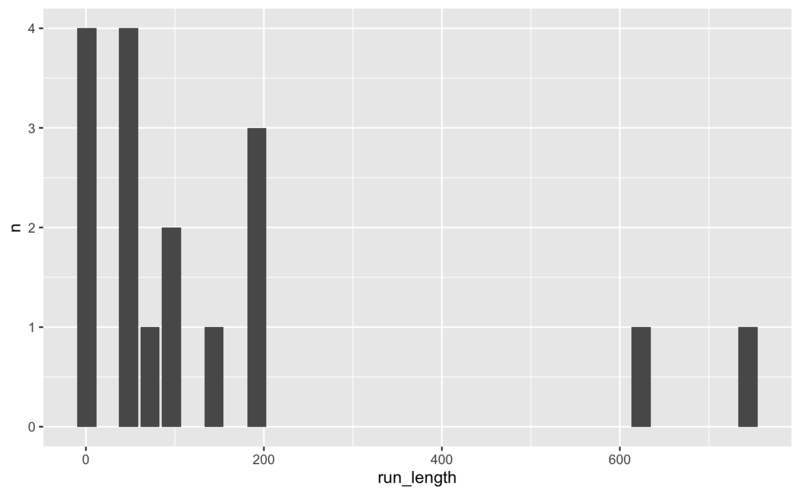 dataframe with column names "run_length" and "is_na", which describe the length of the run, and whether that run describes a missing value. # look at the number of missing values and the run length of these.